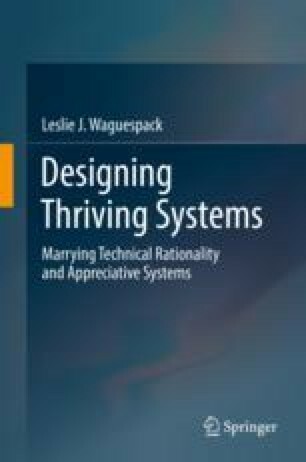 The Thriving Systems choice properties provide a lens through which the organizational and behavioral structure of an artefact can be examined and assessed. The properties reflect both objective (structural) and subjective (aesthetic) design characteristics. The objective characteristics reflect aspects of organization subject to counting and measurement while the subjective aspects attend to experiential, emotive, and (often tacit) affective human reactions. Each of the properties denotes an aspect of design with which to populate a lexicon of quality in the abstract to facilitate a reflective conversation. That conversation forms the narrative encompassing artefact conception, communication, and evaluation to engage the designing community. This chapter attempts to define, or at least describe, each of the fifteen properties by example by casting them each, individually, in various design spaces or construction paradigms.